The Russell 2000, S&P 100, NASDAQ 100 and Dow Jones Industrial Average were lower for the week. The Big Picture [monthly bias] for the NASDAQ 100, the Dow Jones Industrial Average, Russell 2000 and the S&P 100 remain positive. 1.Geopolitical and Fiscal Events. Monday sees President Trump meet with the Italian Prime Minister. Tuesday sees Bank of Japan announce its latest interest rate decision. Wednesday sees the Federal Reserve announce its latest decision. Thursday sees the Bank of England announce its latest decision. 2.Economic Releases. Releases of note this week and next include the weekly chain store sales, oil/gas numbers, mortgage applications and jobless claims as well as pending home sales, personal income, Chicago PMI, consumer confidence. ADP Payroll, construction spending, ISM Index, monthly car and truck sales, factory orders, nonfarm payrolls and ISM Services. 3.Earnings Releases. Notable releases this upcoming week include CAT SPG AAPL PFE ADP TSLA BABA EOG TM KHC. June Pending Home Sales are due out at 10:00 a.m. EDT and are expected to rise to 0.2% from -0.5%. President Trump meets with Italian Prime Minister Giuseppe Conti at The White House. The Bank of Japan (BOJ) announces its latest interest rate decision. June Personal Income is due out at 8:30 a.m. EDT and is expected to remain at 0.4%. July Chicago PMI is due out at 9:45 a.m. EDT and is expected to fall to 62 from 64.1. July Consumer Confidence is due out at 10:00 a.m. EDT and is expected to rise to 126.6 from 126.4. July ADP Payroll is due out at 8:15 a.m. EDT and is expected to fall to 175,00 from 177,000. June Construction Spending is due out at 10:00 a.m. EDT and is expected to fall to 0.2% from 0.4%. July ISM Index is due out at 10:00 a.m. EDT and is expected to fall to 59.4 from 60.20. 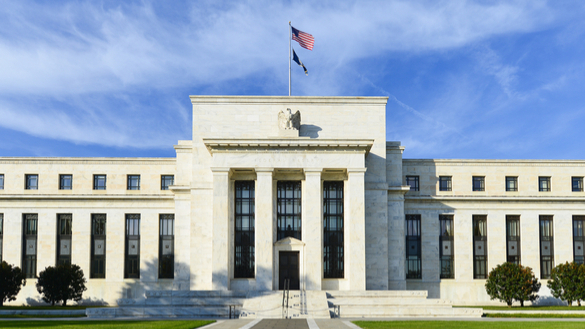 The Federal Reserve Open Market Committee (FOMC) announces its latest interest rate decision at 2:00 p.m. EDT. No change is expected. Monthly July Car and Truck Sales are due out at 2:00 p.m. EDT. The Bank of England (BOE) meets and is expected raise interest rates for the second time. June Factory Orders are due out at 10:00 a.m. EDT and are expected to rise to 0.6% from 0.4%. July Nonfarm Payrolls are due out at 8:30 a.m. EDT and expected to fall to 190,000 from 213,000. July ISM Services are due out at 10:00 a.m. EDT and are expected to fall to 58.5 from 5.91.